Canadian coach Ram Nayyar he receives a phone call today informing him the team could be reinstated. Alex Bruce and Michele Li received a second life in the Badminton doubles tournament when four pairs were officially disqualified. Two of the offending teams had been in their group so the Canadians were suddenly in the quarter-finals. And ready they were. They beat team Australia, Leanne Choo and Renuga Veeran in three sets (21-9, 18-21, 21-18) to advance to the semifinals against Japan on Thursday. Controversy swirled around team China, South Korea and Indonesia when players made a series unusually poor plays on the final day of round-robin action Tuesday. Paying customers booed several players off the court after repeatedly putting serves into the net and hitting the shuttlecock over the court’s lines. The longest rally in one set lasted just four shots. The referee even issued a warning that they may be disqualified. But the bad plays continued. Lord Coe, head of London 2012, described the players’ actions as ‘depressing and unacceptable’. The Badminton World Federation ruling was based on the obvious. The teams were trying to lose to manipulate their position in the knockout phase. China’s Wang Xiaoli and Yu Yang, the reigning world doubles champions, were found to have been purposely trying to lose their match against South Korea’s Jung Kyun-eun and Kim Ha-na to avoid playing another Chinese team before the championship final. Officially, the players were found in breech of the international badminton federation’s code of conduct section that punishes players for “not using one’s best efforts to win a match. South Korea was denied in an appeal. Indonesia withdrew its own appeal. South Korea’s Ha Jung Eun and Kim Min Jung were also expelled, as was the Indonesian pair of Greysia Polii and Meiliana Jauhari. You may have heard by now, today is Chinese New Year. What you many not know, is that this is the Year of the Water Dragon, which only comes around every 60 years. The Dragon has always been a mythical symbol of tremendous power and strength. But for the Chinese, the Dragon symbolizes much more. Approximately 5000 years ago, tribes were fighting against one another. When the tribe of the Yellow Emperor succeeded, he combined the totems of other tribes. This included the phoenix, the lion, the snake, the scorpion and the tiger, to form the dragon totem. By combining these totems, the Dragon represents many powerful animals. That is why he has a head like a lion, and a tail like the scorpion. He can fly like the phoenix , has a flexible body like the snake and claws like the tiger. It is because if these traditional views that we may see a baby boom. In prosperous or rapidly developing societies such as Japan, China, Korea or Hong Kong, birth rates have been very low as people are putting career and quality of life ahead of child-bearing. But because being born in the Year of the Dragon is seen as very auspicious, many young couples are rushing to have a baby by the end of this year. A poll in Hong Kong showed that 70 per cent of couples there wanted children born under the dragon sign, while South Korea, Vietnam and China all report similar enthusiasm about dragon-year childbearing. The last Dragon year was in 2000 and the birth rate increased from 1.5 to 1.7 children per Taiwanese woman of childbearing age. For those die-hard Facebookers who see no need to join yet another social media site–here are just a few highlights that might change your mind. First things is how easily your profile can be managed. Gone are the days you are trying to censor your social life by creating multiple profile pages. With the “Circle” feature in Google+, you simply section off which circles see what comments, photos, and any articles you may post. This can be particularly useful for businesses to separate the information for existing clients, potential clients, and the general public. Conversely, you can also click on your circles to see specific streams from that group of people. If you are still nervous about what information is available to whom, you can input your boss’s name in the View profile as… field to see how he/she views your profile. I also love the features that pertain directly to photo security. You can decide whether to include certain photos on your profile, there is a photo tag approval setting to control what photos others post of you, and there is also an option to display the Geo data of the photo. If you have Google+ installed on an android phone, any new photos you take will show up instantly with the option of including Geo data. The Geo setting is something that you can activate to show your friends exactly where a photo is taken. This feature is disabled by default, but should be considered as a wonderful feature when loading new photos. You can save yourself a lot of time from having to tag each individual picture on a vacation album. Another important element is the control you have over stream updates. How many times have you made just one little comment on a post, and then received 20 other comments that have nothing to do with you. With Google+, you can “mute” the chattier posts you don’t necessarily need an update on for every new comment. This can be done right in the notification window, where you can actually make comments as well. Though it’s a subtle feature, it saves having to load another window to reply to a post. You can read the whole comment stream, and inject a reply if you wish. If you realize you’ve made a mistake after you’ve published a comment, you can simply hit the ‘edit’ button included beside the ‘delete’ button. Again, another small attribute, but we have all made that spelling or grammatical error and felt a torn between having to delete the post all together, or posting another comment directly under it to correct it. And as a bonus for those of us who are extra expressive–bold, italics, strike throughs, are all possible in Google+ simply by adding an asterisks, underscore, or dashes on either side of the word. 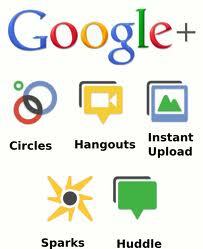 These are just a few of the elements that give Google+ a leg up on Facebook. But since Mark Zuckerberg was one of the first members checking out the competition–he might just come up with some improvements to level out the playing field. “We’ve seen that in mature markets where people have been online for years and where access is ubiquitous, the internet has already become a commoditised item that consumers take for granted.” says TNS chief development officer Matthew Froggatt. A recent survey conducted by the British market research firm TNS has concluded that less digitally developed countries such as Malaysia have the most buddies in online social networks, the Japanese have the fewest. This project conducted 50,000 interviews spanning 46 countries. TNS found that countries such as Egypt and China have over 50 percent of digital engagement than more mature markets such as Japan (20 percent), Denmark (25 percent) or Finland (26 percent), despite the latter having the more advanced internet infrastructure. Social networking has skyrocketed in Latin America, the Middle East and China, but most in more established digital markets still spend more time on e-mail. The study reveals Malaysians have the most friends on social networks, with an average of 233 friends, and also spend the most time using social media — an average of nine hours a week. Brazilians are also digitally popular, with an average of 231 friends. The Japanese had the smallest average circle of friends at 29, and Tanzanians had an average of 38. But the study’s findings noted that some might embrace fewer — but closer — friendships. Researchers also concluded that “emerging” digital markets have shot past more mature online markets in terms of blogging and social networking. “The research shows four out of five online users in China (88 percent) and over half of those in Brazil (51 percent have written their own blog or forum entry, compared to only 32 percent in the US,” TNS said. The heaviest users of social networking are in Malaysia, where they rack up nine hours per week, Russia, with 8.1 hours per week and Turkey with 7.7 hours per week. The study also indicates those who have online access most often go to the Internet for media consumption; 61 percent of online users go to the Internet daily, compared to 54 percent for TV, 36 percent for radio and 32 percent for newspapers. “The Internet is a huge part of life in the 21st century but how it affects our lives varies depending upon where in the world you live,” said TNS Chief Development Officer Matthew Froggatt said in a statement. When it comes to ROI, do you want fans, or followers? Since companies and organizations began embracing social media, the debate has been on. 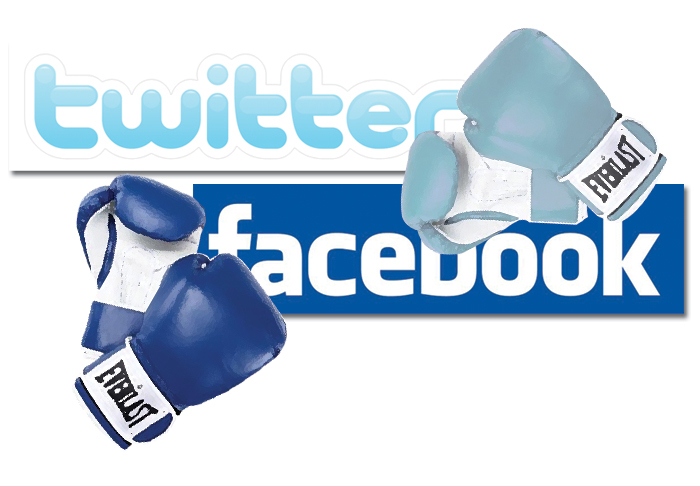 Who is more valuable: Facebook fans, or Twitter followers? While it’s hard to put a hard qualifying number on either, a recent study by Forrester Research finds that Twitter followers have the potential of being more valuable in the future. The study confirms that Twitter followers are more likely to buy from brands they follow (37% vs. 21%), and recommend brands to friends (33% vs. 21%). These two factors are the yardsticks by which many social media branding campaigns are measured. But it’s hard to ignore the immense advertising opportunities of Facebook. With an audience of 550 million, Facebook offers powerful connectivity where friends can share reviews of their favourite products. Word of mouth has long been touted as the most potent form of advertising, and right now there is no other platform that allows people to share brand sentiment as quickly as Facebook. A major difference between the two social media site comes down to marketing theory. While both sites are interactive–Facebook involves more “push” marketing, offering fans incentives and rewards for interaction. Companies use third-party offers to obtain fans. 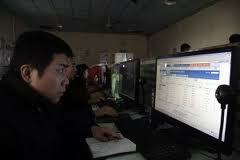 For example, Bing used the social gaming network Zynga to build a Facebook fan base for its launch. Zynga offered “Farm Cash” rewards to entice Farmville players to become fans. While the launch was a success, that success can be short-lived since the brand is disconnected from the offer. 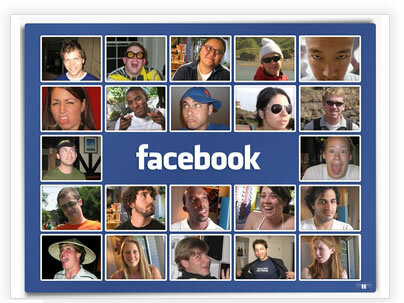 But used appropriately, Facebook can get the attention of a massive audience. Nike did just that by utilizing the multimedia platform of the social networking site. By posting videos and commercials directly on the page, Nike has attracted more that three million fans, thousands of which comment and “like” regularly. The U.S. government is embracing Facebook and may be looking to be your friend. U.S. Citizenship and Immigration Services documents reveal how immigration agents are instructed on how to “friend” applicants for citizenship on social networking sites to observe their lives and determine if their marriages are actually valid. Although the government’s action are legal, the EFF argue that this form of validation should be cautioned. Apart from characterizing those with a large friend network as having ‘narcissistic tendencies’, this method relies on the fact that online profiles accurately reflect offline lives. And since the agents are not required to reveal their identities or jobs when “friending” users, it is possible for agents to monitor more users than just the applicants.